Make the most of your budget and lease office, coworking, retail or industrial space your whole team loves. Advanced technology and real estate experts, all working for you. Answer a few questions, and our super-smart robot Vera searches the whole market to instantly find spaces that match your needs and budget. 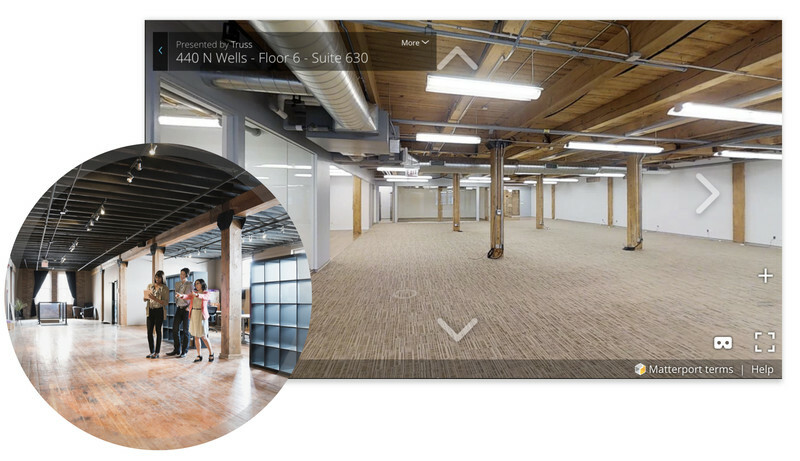 Save time by using our 3D virtual tours to check out spaces. When you’ve found a few favorites, our real estate experts will take you to visit them in person. 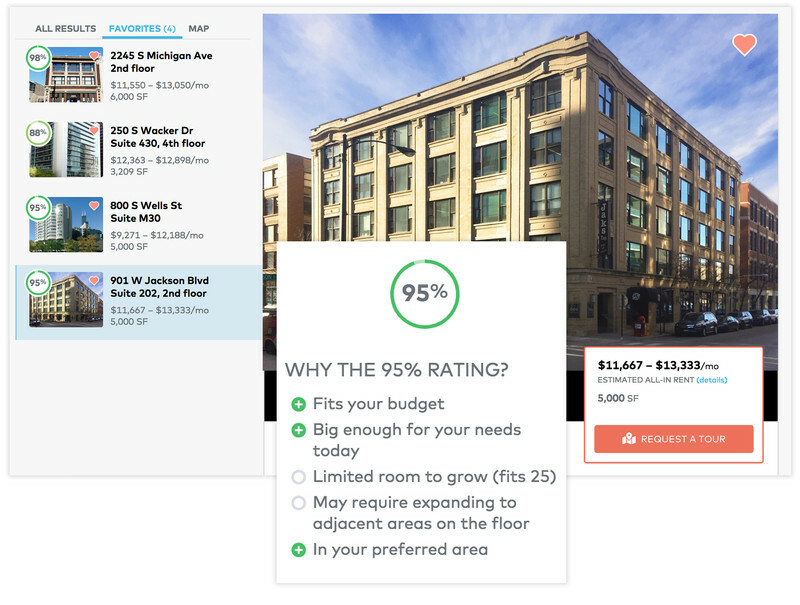 Our listings show all-in pricing, so you can do a true comparison on spaces right away. Our real estate experts are there to answer questions and negotiate for you. 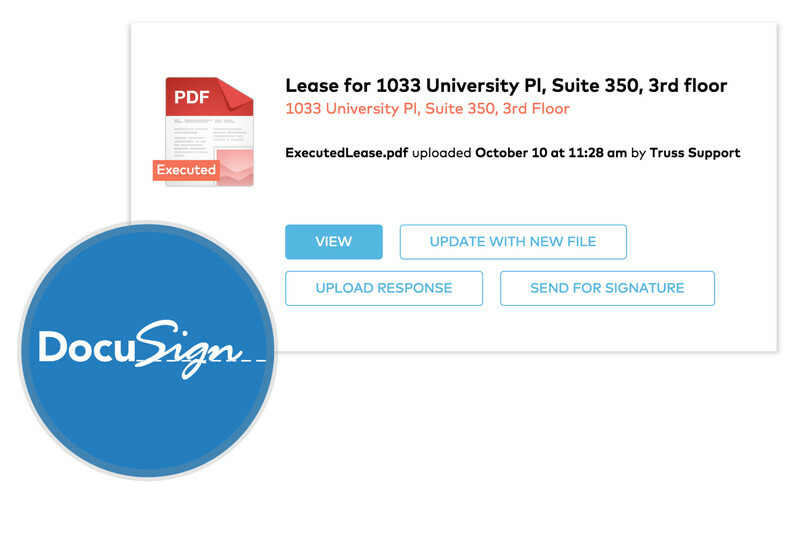 All documents are stored safely, ready to access and manage from anywhere, at any time. 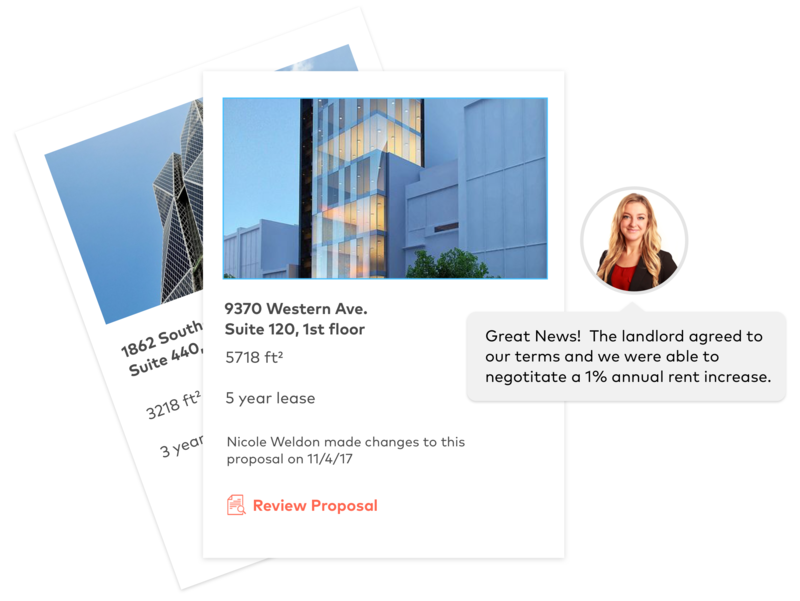 When it’s time to renew or execute options on your lease, we’ll notify you in time so you get the great deal you deserve. There’s no risk because Truss is totally free.